A new sport combining the characteristics of agility and traditional obedience, Rally-O is recognized by the American and Canadian Kennel Club. Timed and including 12-20 performance stations, Rally encourages confidence and focus as owners and dogs work through each one in a single, continuous sequence without interruption from the judge. Though Rally is not simple, it will provide unrivaled mental stimulus and strengthen owner and canine bonds, a truly rewarding and fun experience. 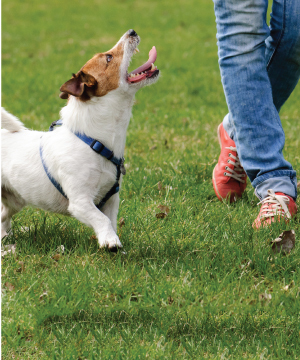 A beginner's course will include commands such as sit-stay, turn, heel, change pace and recall. Requirements: Your dog must be at least 6 months old and have basic training. Below is a listing of the current and upcoming Rally-O Classes. Group classes have between 4-12 dogs. The price for the six week session is $160 (+HST). There are no refunds or make up classes for not attending. There aren't any upcoming Rally-O classes. Please contact us if you’re interested.